This recipe is a family favorite. I got this awhile ago on Pinterest from Voracious Veggie. Preheat oven to 425 degrees. Cut the carrots and zucchini into even sized sticks about 3 inches long. Lightly toss the sticks with organic extra virgin olive oil. 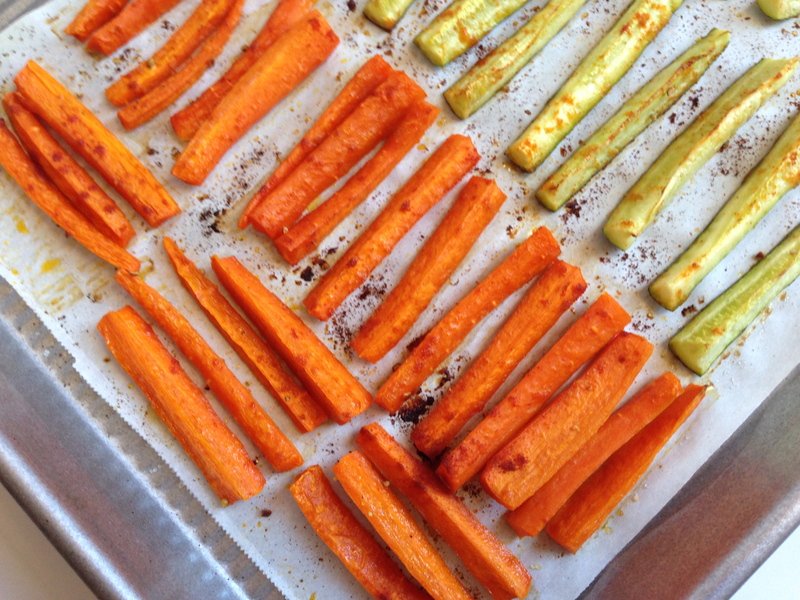 Place the vegetables on a cookie sheet or a jelly roll pan lined with parchment paper. Sprinkle lightly with sea salt and pepper. Add paprika and crushed red pepper. Roast for about 20 minutes or until they are golden brown. Enjoy!